Time management can be a challenge for even the most organized educator. Sometimes you can’t always get everything done that you want to in one day. But teachers are also as unique as the subjects they teach. What works for some might not work for others. So what are some teacher time management tips that would work for pretty much everyone? 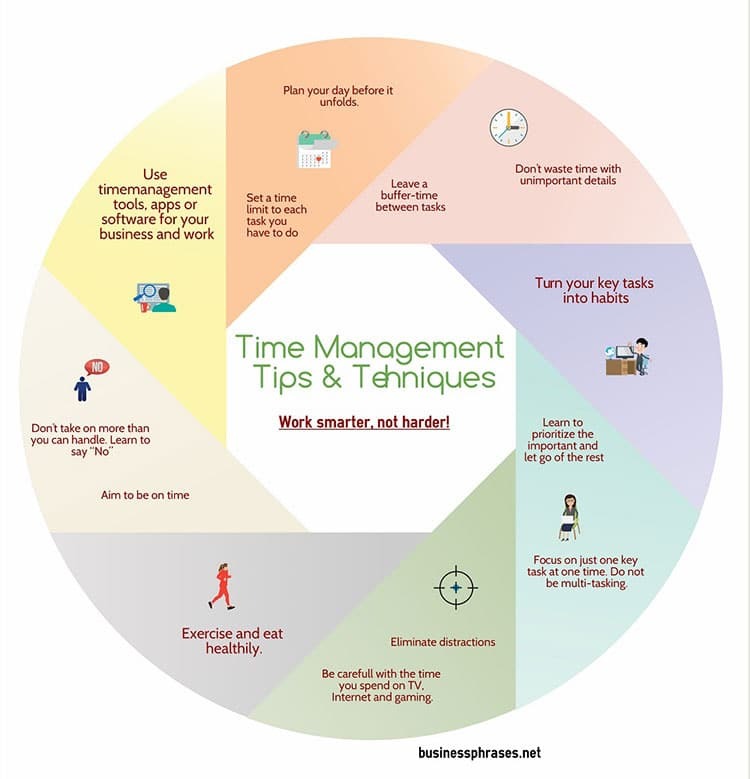 You can thank Visually for the answer in this infographic called Time Management Tips and Techniques: Work Smarter, Not Harder! Time was Shakespeare's great muse, and it's a teacher's greatest enemy. But with the right approach, it doesn't have to be. The infographic features 8 tried-and-true guidelines for managing time as a habit, not a short-term goal. It's been proven that adopting changes as a habit is what promotes success. Adhere to these failsafe teacher time management tips and you'll be golden. Plan ahead: Plan your day before it begins. Estimate a time for every task you must do, adjust it accordingly, and stick to it. Stick to the important stuff: Don't waste all your time on little details. Leave a buffer time between your tasks. Turn your key tasks into habits: Make it automatic—the big things you do every day without fail are the ones that you can make ubiquitous. Habits stick. One thing at a time: Multitasking doesn't always work, and neither does task cramming. Work on one task at a time until it's done, then move on to the next thing on your list. Build your temple: This means your environment of focus and solitude. Eliminate distractions so you can focu7s better and get more done. Exercise and eat right: A healthy body contributes to a healthy mind. You can always expect to be able to work better when you feel good. Don't let your cup runneth over: Saying "no" can be beneficial. Don't overload yourself to the point where you're so stressed out you can't get anything done. Take time for tech: Use time management apps, software, and tools that work for you.